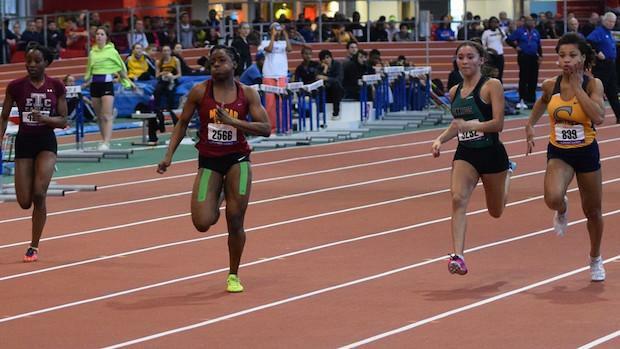 Four-time All-American Brenessa Thompson of Medgar Evers, NY is one of the most prolific sprinters in the state of New York. 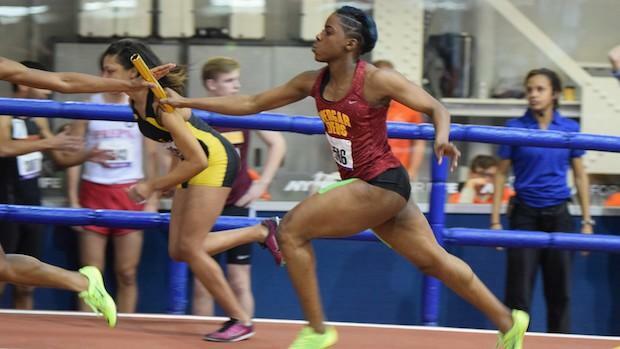 The short sprint specialist ran the fastest qualifying time in the 60m dash (7.42) at New Balance Nationals Indoor, but suffered a season-ending hamstring pull in the semi-finals. 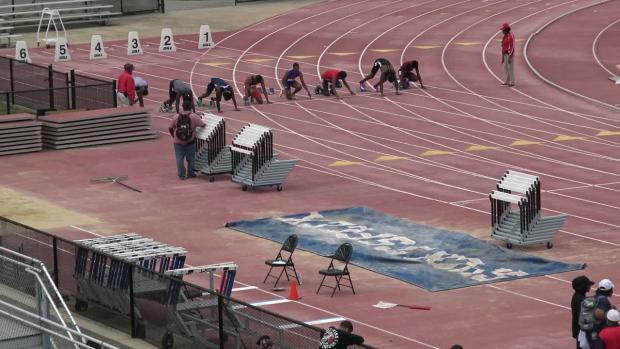 The Texas A&M recruit is returning to the track this weekend in the 100 and 200 meters at the Loucks Games. She has represented her native Guyana at the IAAF World Junior Championships and the CARIFTA Games, but how will she end her high school career? 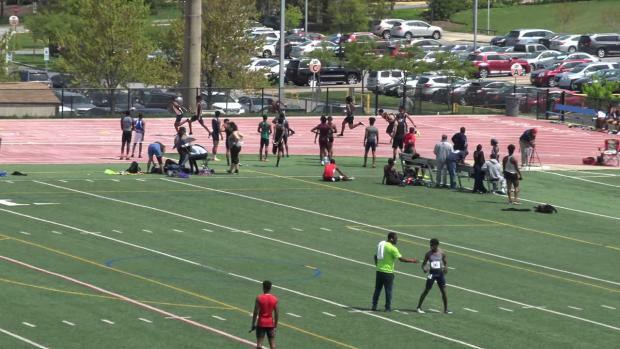 MileSplit: You had a fantastic indoor track season before getting injured. Can you tell us more about the injury and how you recovered? Brenessa: I had an hamstring injury. I recovered by ice and heat therapy, massages, therapeutic exercises and the stem machine. When I was able to walk pain free I went to the gym to get my hamstring strong. You are racing in your first big race since New Balance this weekend at the Loucks Games in the 100 meter dash. You are the defending champion; what is your goal for this weekend? My goal for this weekend is to finish in the top three and healthy. How do you feel about your fitness? Are you 100% recovered from your injury? My fitness is 3/4 of the way. I am 99.99% recovered from the injury. 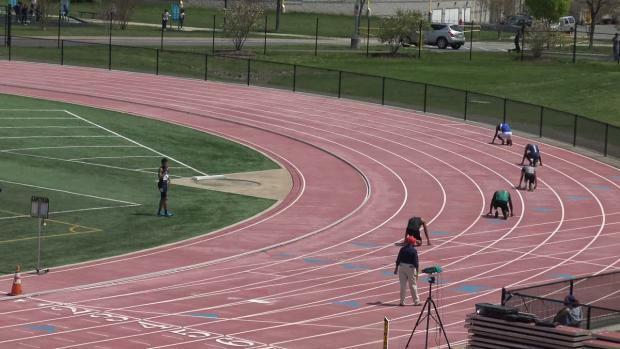 Brenessa Thompson (green tape) consistently held the U.S. No. 1 spot in the 55-meter dash this indoor season before a hamstring pull at the national championship derailed her. Describe a typical training week. What is the hardest workout you've ever done? The hardest workout I have ever done was ladders which is a 500m, 400m, 300m, 200m, 100m then 100m, 200m, 300m, 400m, 500m with a 10, 8 then 6 min break in between runs. In April, you were the only athlete to represent Guyana at the CARIFTA Games, as the rest of the athletes were unable to secure flights. How did it feel to be the lone representative? Being the lone representative for Guyana was very heart breaking knowing that it was a really strong team and they would have all got the job done. I really wish they were there and hopefully it never happens again. 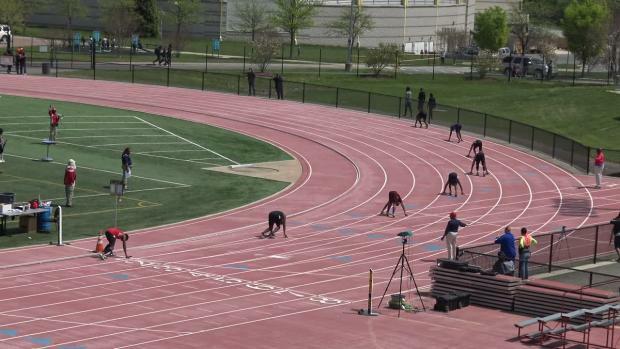 You placed fifth in the prelims of the 100m with a time of 11.81. How did you feel about your performance? Were you still recovering from the injury or were you healed? Going into the finals with the 5th fastest time 11.81 was pretty good. The goal was to make it into the finals and take it from there. At the moment I was 70% recovered from the injury. Thompson led her Medgar Evers squad to a U.S. No. 2 time of 1:37.96 in the 4x200-meter relay this winter. 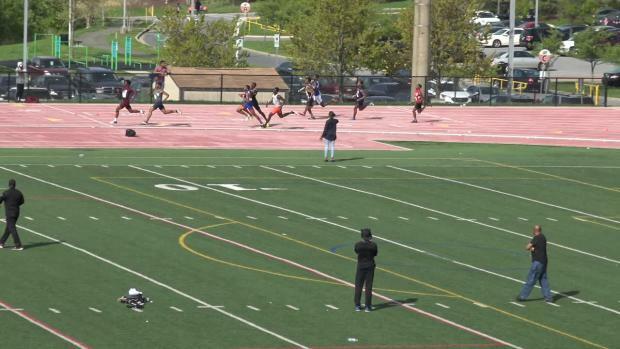 You also represented Guyana at the IAAF World Juniors last summer in the 100m and 200m. Can you describe that experience? How does it feel to represent your country on a world level? Representing Guyana at the IAAF World Junior championships was a very exhilarating feeling. Being there with my ex high school team mate Kadecia Baird and my coach Shaun Dietz helped me a lot because I was really nervous. The track meet and the people there were really friendly which made it easier to communicate and make friends with the other athletes. Do you have any thoughts of representing Team USA in the future? lol, No, I don't have any thought of representing team USA in the future. Congratulations on signing with Texas A&M. How did you make your college decision and what other schools were you considering? I had a lot of SEC schools on my list such as Texas University, Kentucky, Alabama, Georgia University and Texas A&M. The funny part was I only visited one school and I fell in love with TEXAS A&M. One reason as to why I did not want to visit the other schools was because Texas was my DREAM school and I was too lazy to do other visits. lol. What is your most embarrassing athletics-related moment? 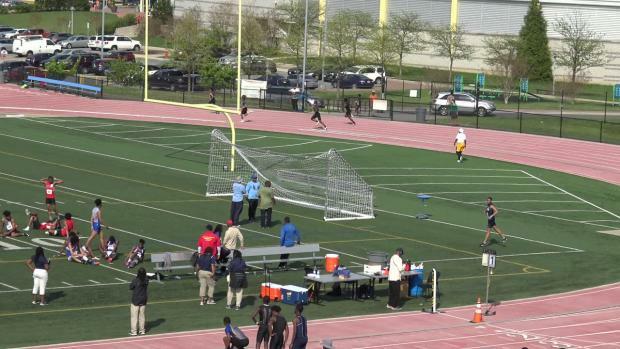 My most embarrassing moment in Track is when I went to Penn Relays my freshman year and I was anchor for my 4x100m team. When my team mate was giving me the baton in the heats instead of running forward I ran towards her for the baton. :( . YIKES. lol. I am much smarter now. Describe a perfect day in the life of Brenessa Thompson. A perfect day is spending time with my family followed by a facetime call with my mother. 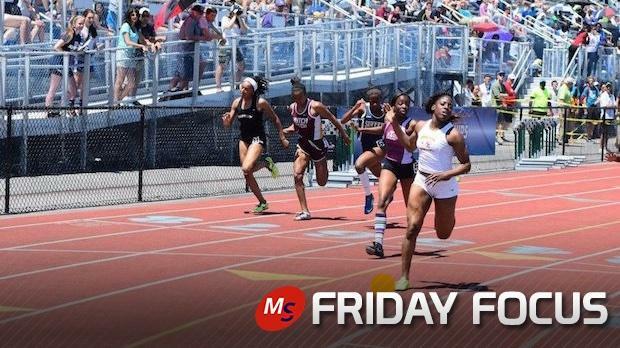 Kyle Brazeil of NY MileSplit interviews Thompson after she finished runner-up in the 100 meters at the 2014 New Balance Nationals Outdoor Championship. What do you want to major in at Texas A&M: I want to major in sports medicine. If you could have dinner with any 3 people, who would they be and why? Three people I would like to have dinner with are Carmelita Jeter, Usain Bolt and Allyson Felix because I would like to ask them questions on how it is to be a professional athlete and their life style.